Below you can view all the homes for sale in the Weatherstone subdivision located in Marietta Georgia. Listings in Weatherstone are updated daily from data we receive from the Atlanta multiple listing service. To learn more about any of these homes or to receive custom notifications when a new property is listed for sale in Weatherstone, give us a call at 404-998-4102. Perfect Location Minutes From Atl Or Ksu. MLS#6506424. Keller Williams Rlty Consultants. Great Level Back Yd,Total Yard Irrigation, Security System*New Exterior Paint 2016, New Hot Water Heater 2017, Roof 2015*Original Owner. Walk To The Pool. MLS#6505646. Keller Williams Realty Atl North. Rear Stairs Lead To Huge Bonus Room Just Off Great Room, Separate Formal Living Room, 4 Bedrooms Up With 2 Full Baths, New Carpet And Paint. Seller Says "Make An Offer" MLS#6501755. Atlanta Communities. 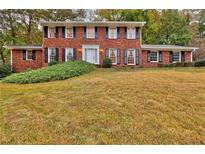 Close To I 75, Top Cobb County Schools, Shopping, Dining, Parks, Doctors & Gyms. MLS#6097459. Maximum One Realty Greater Atl..
Great East Cobb Location/ Wheeler High District. MLS#6105470. Century 21 Connect Realty.